"Bali Lounge Sessions" is the latest foray from 19BOX RECORDINGS into the chillout genre. This new series focuses on famous resorts of the world. The first in the series is the beautiful island of Bali in Indonesia. Indonesian producer SUMANTRI has produced all of the tracks for this series – and aptly so. "Bali Lounge Sessions" is a step into a world that proves he can step away from the dancefloor and make chillout/downtempo music with the same amount of oomph and gusto as his house music productions. Several of the featured tracks have already been licensed to DVD and chillout compilations. No strangers to the genres of downtempo and Chillout, Japanese outfit VALID EVIDENCE have delivered a fantastic remix for this album. Due for release on 7th June 2010. 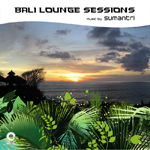 "Bali Lounge Sessions" is the latest foray from 19BOX RECORDINGS into the chillout genre. This new series focuses on famous resorts of the world. The first in the series is the beautiful island of Bali in Indonesia. Indonesian producer SUMANTRI has produced all of the tracks for this series – and aptly so. He’s originally from Jakarta in Indonesia, but started to use his namesake after spending time in Boston. His musical output during his Boston years paved the way for record deals with seminal progressive house labels like POD RECORDINGS, REGRESS RECORDINGS, CHUG, DORIGEN and DMC UK. After making a move back to Jakarta, he signed deals with TWEEK'D and VAPOUR. In addition to SUMANTRI, his musical output sees the use of his other aliases - OPTIKA and NEMA. In between all three of these handles, he has clearly made his mark on house music. "Bali Lounge Sessions" is a step into a world that proves he can step away from the dancefloor and make chillout/downtempo music with the same amount of oomph and gusto as his house music productions. Several of the featured tracks have already been licensed to DVD and chillout compilations. 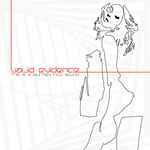 No strangers to the genres of downtempo and Chillout, Japanese outfit VALID EVIDENCE have delivered a fantastic remix for this album. 19BOX RECORDINGS made new sections inside discography. One is 19BOX SPECIAL that is for pop market and the other is 19BOX ALBUM / CD for full length album. Let you check these out!!! DJ 19 is one of the most well known and respected DJs and producers in Asia. He is the force behind Japanese electronic music labels 19box Recordings, 19box Limited and Park Limited Muzik. The labels have been in operation since 1999 and seen a slew of licenses to DJ mix CDs, DVDs, TV and more. DJ 19 has been hard at work in the studio since he made his debut track in 1998. Since that time, he has delivered over 20 official mix CD compilations in the territories of Japan, Russia, Taiwan and Indonesia. While his name has remained prevalent and well-known on the DJ mix compilation market, he has yet to release an album using his DJ 19 moniker. The reason for this decision on not releasing an album using his most prominent alias is simple. Up until this point he has been working under projects using the aliases of TRANCENTRAL STATION (whose biggest hit was “Mothership” – which in turn appeared on JIMMY VAN M’s “Bedrock” CD), AMBROZIA (downtempo/chillout moniker that produced “It’s U” as licensed to the “Real Ibiza” compilation ), VALID EVIDENCE (more piano-based electronic music featuring heavy Balearic grooves) have all kept him busy. In fact, these have kept him so busy that DJ 19 has already released 5 full-length albums using a combination in-thereof those monikers. That all said and done, DJ 19 is finally ready to unleash his debut artist album unto the world! The album is aptly-named “Phuturefunk” – a style that 19 has been using to describe in the way he DJs, produces and lives life. As a result of this, “Phuturefunk” has appeared in many aspects of his music. For example, he has released a track on Panther (a sister label of Hook/Bellboy Recordings) and a mix CD in Taiwan that both used the title of “Phuturefunk”. “Phuturefunk” includes 15 brilliant tunes. The tracks “Nether Cutter”, “3 A.M. Delightful”, “Diamond Dust” and “Ima” have all been released on his own label 19box Recordings as single releases. His tunes “Mash Up” and “My Brain” have both been released as singles on 19box Limited and Reticent Recordings respectively. The true heart of the album is the cool, funky and groovy co-productions with some of the world’s best underground electronic musicians. Collaborations in between DJ 19 with the UK’s MOUSSA CLARKE(PF PROJECT/MUSIQUE/PHILTER), Sweden’s BJORN FOGELBERG and a new USA-based act BLUE SATELLITE have truly made this a forward-thinking and global collection of music. It doesn’t stop there though. US’s THOMAS PENTON, AUSTIN LEEDS, MARKUS SHULTZ all worked hard trading tracks back and forth with DJ 19 over the Pacific Ocean through the Internet until they were complete. Further collaborations come from Holland’s C-JAY and UK-based singer and songstress, MICHELL CHIVERS. 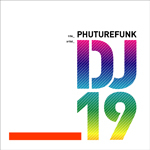 “Phuturefunk” also has cover version. That is 19’s take on PAUL HARDCASTLE’s “Rainforest” – which is the artist from whom DJ 19 draws his name (after HARDCASTLE’s Vietnam-broadcast sampling hit “19”). The future is coming. The funk is already here. Now it’s time to combine the two and release “Phuturefunk” to the world. “Essence” compilations have attained legendary status in Japanese club scene due to them being the first DJ compilations which released regular basis. Before “Essence” came to prominence in the Japanese market, compilations involving dance music were more cheesy ‘This Is Dance Music 199x’-type-ventures. These releases were a summary of the biggest dance hits of the year and failed to hit the mark when it came to showcasing what was really going on in Japanese underground clubs. 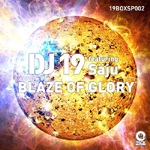 Hence, in 1999 DJ 19 decided to make a compilation that gave focus to genres such as Trance(Progressive), Warp House (Hard House) and Chillout(Downtempo). As a result of this groundbreaking marketing, “Trance Essence Edge2” sold over 20,000 copies only in Japan! After 2003 the Essence series took a much-needed break after releasing 10 CDs. Fast forward to 2009. Seminal Japanese underground electronic dance music label 19BOX RECORDINGS is celebrating its 10th anniversary, so what a better way than to bring back the series that helped launch the label? “Essence” is back. 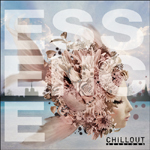 The first release is ‘Essence - Chillout Sessions’, which is compiled by 19Box label head honcho, DJ 19. It features 10 Balearic moods and grooves of utmost quality. Most of the tracks are unreleased and pack the expected punch that comes with the “Essence” series. Furthermore, this return sees DJ 19 provide tracks under his DJ 19, AMBROZIA and VALID EVIDENCE monikers. Lastly, this CD includes a fantastic cover version of SHAKATAK's "Night Birds". Early Support from AFTERLIFE & PETE GOODING. AFTERLIFE said "Really fresh and nu style but gentle also. Lovely!" This is a collection of beautiful sounds that are reminiscent of the Cafe Del Mar compilations.According to VALID EVIDENCE aka DJ 19 & YU-TA, DJ 19 is a person of world renown house label owner, 19box(jukebox) recording. And he has also lustrous fame of AMBROZIA moniker, which featured on such as "Real Ibiza" and "Cafe Ibiza" compilations. VALID EVIDENCE is pure sea-soaked melancholy and has no doubt proven the perfect accompaniment to a thousand Balearic tequila sunrises, sitting somewhere between smooth jazz king's JAZZMASTERS and SHAKATAK's fusion sound to modern life, sounds like the sophisticated European cousin of that Japanese traditional sound and some house essense. You can feel the same texture of CHICANE, BT, RYUIICHI SAKAMOTO and off course JAZZMASTERS. If this doesn't put a glow in the hearth of your heart to see you through those long winter nights then nothing will. “This Is A Journey Into A Sound” is their debut album.